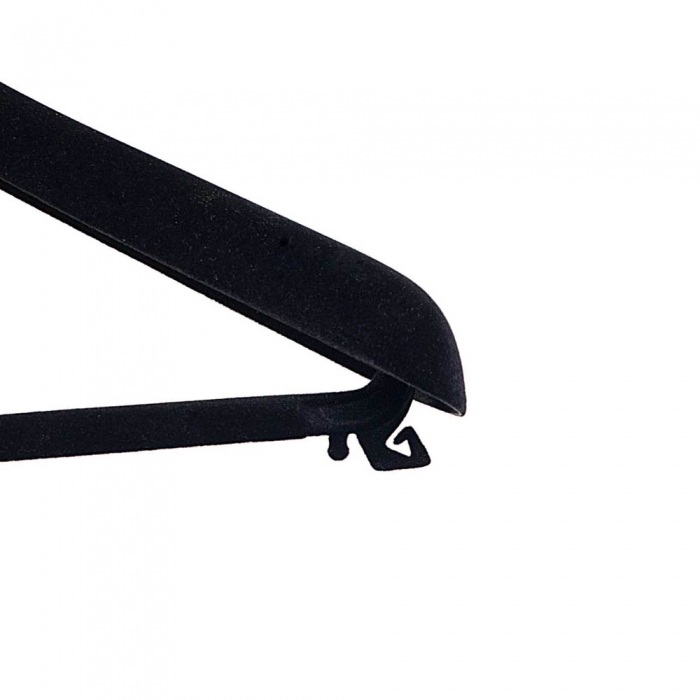 Flocked suit hangers with bar, available in three sizes; 38cm, 42cm & 45cm wide. 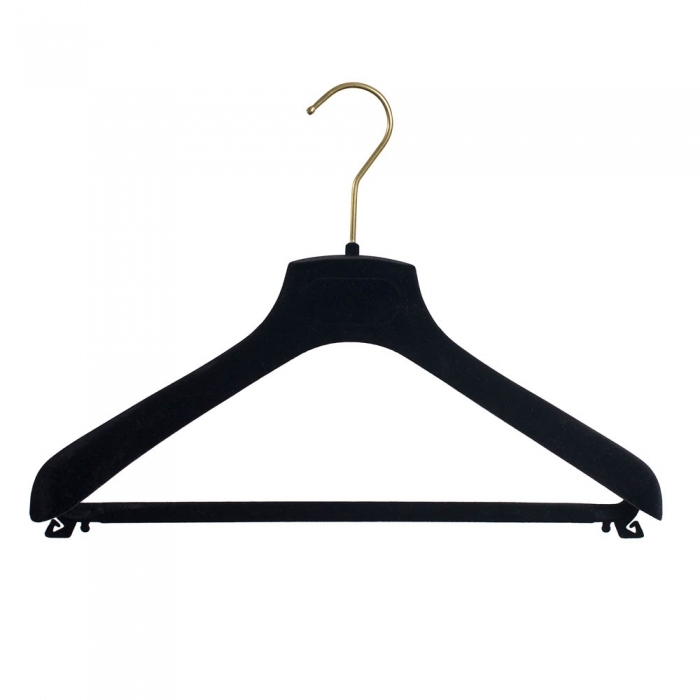 Deep contoured display hangers with a sumptuous flock coating and a gold hook. Flocked suit hangers with bar, available in three sizes 38cm, 42cm & 45cm wide. 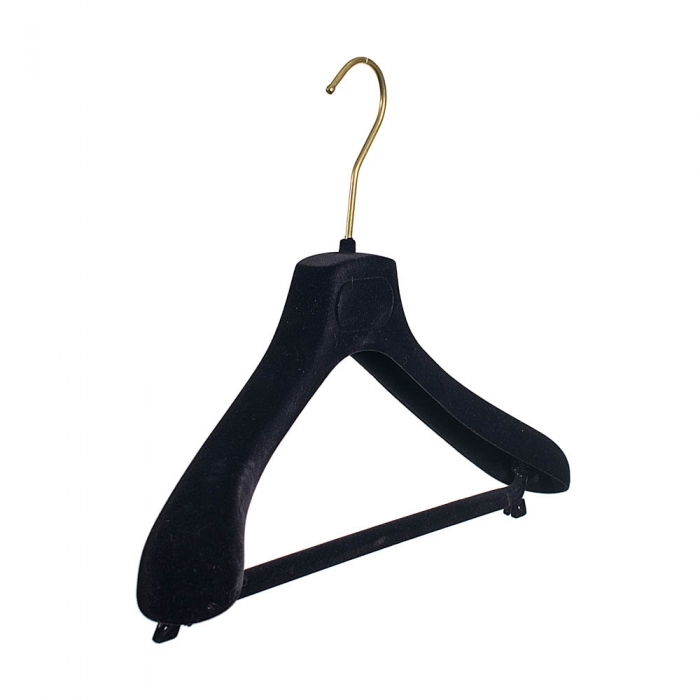 Deep contoured display hangers with a sumptuous flock coating and a gold hook.